He’d do anything for a second chance. Could her secrets and haunted past allow him back in? Fletcher MacLaren lives a charmed life. He works hard and plays even harder. Handsome with an easy smile, he hasn’t considered settling down. Not until his gaze lands on the loveliest woman he’s ever seen. Creamy skin, golden blonde hair, and blue eyes so deep and clear, they sparkle. The first time he saw her, slowly descending the stairs of the saloon, she captured every man’s attention. 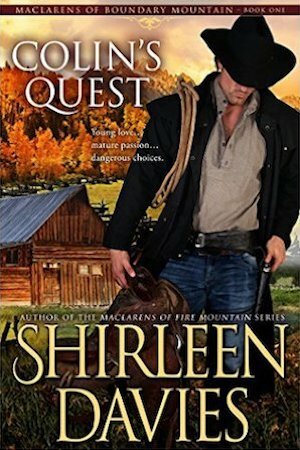 Madeleine Colbert shouldn’t want the tall, ridiculously attractive rancher whose heated gaze burns right through her. A haunted past and inability to stay in one place for long doesn’t bode well for any kind of relationship. And her job in the saloon isn’t what a respectable cowboy would consider suitable for anything other than a few fiery moments. He can’t get her out of his mind. Fletch spends his days thinking of Maddy and his nights visiting the intriguing woman, until he needs her more than his next breath. But one short discussion with his father changes everything. The note he sends cuts clean through, causing her heart to crack. 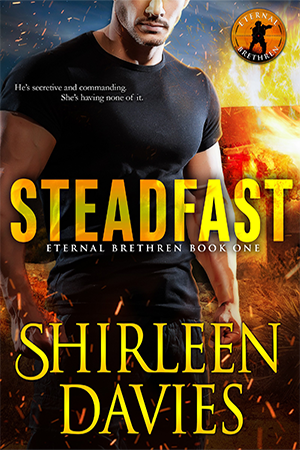 Knowing he’ll never return, and with ruthless outlaws tracking her, Maddy makes the only decision possible. She runs. Returning after several months, Fletcher’s first thought is of Maddy. The time away has been miserable. All he wants is to make amends and continue with what they had before he left. For the first time in his life, he learns what it’s like to not get what he wants. Hardship continues to plague Maddy. When the outlaws discover her new location, she finds herself on the run again, returning to Conviction. But not to the man she loves. She may have outrun the people chasing her, but it doesn’t mean she’s escaped the one man who offers nothing except another broken heart. And now, Maddy is hiding her biggest secret of all. 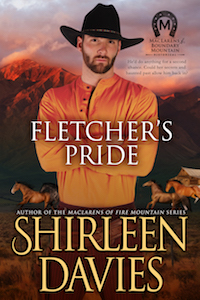 Fletcher’s Pride, book eight in the MacLarens of Boundary Mountain Historical Western Romance Series, is a stand-alone, full-length novel with an HEA and no cliffhanger.